UNIGLOBE Travel (Western Canada) held its annual Owner’s Retreat the last week of October in Cancun, Mexico. You could say that it wasn’t all “strictly business” at the Owners’ Retreat in Secrets Playa Mujeres this week. 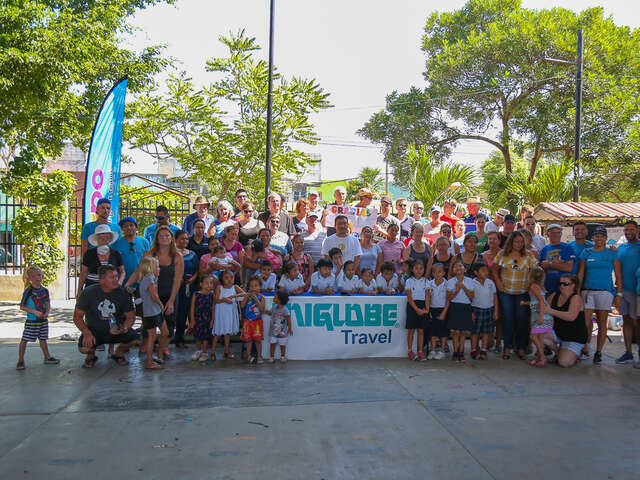 There were plenty of opportunities for UNIGLOBE agency owners and preferred partners to network and discuss best business practices, but members took time out from the three-day event to help improve the lives of local school children. 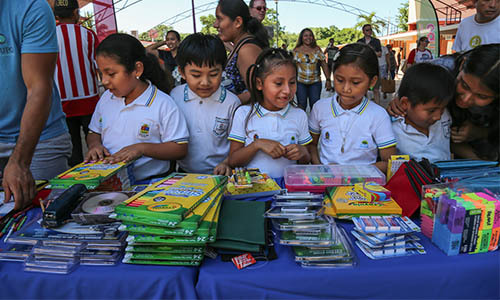 The 40-strong team of agency owners and industry representatives from Air Canada & Air Canada Vacations, WestJet and WestJet Vacations, Manulife and Transat devoted a day of their retreat to the ‘One School at a Time’ project and helped to refurbish the facilities at the Jose Maria Luis Mora Primaria Escuela primary school. It’s hoped the team’s hard work will greatly improve the daily lives of the school’s 700 students.